There have been intense media speculation in the last week, as to whether the US government’s Millennium Challenge Corporation (MCC), has indeed made a decision not to offer funding to Sierra Leone, estimated at close to $100 million. Several commentators have written off president Koroma’s chances of securing the MCC funding, as his government continues to struggle under the weight of poor governance, corruption and impunity. Although ministers and officials of the government have met on several occasions with the directors of MCC to assist the government in scoping a viable project, it is still not certain what the money will support. 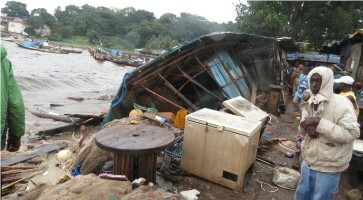 Sierra Leone is still regarded as one of the poorest countries in the World, despite recent surge in GDP growth – more than twice the sub region’s average – largely as the result of improved iron ore export. Poverty, poor sanitation, high illiteracy, poor access to safe drinking water and electricity, have brought misery to millions across the country. 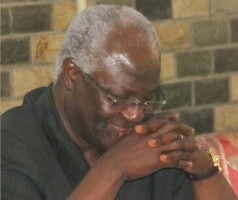 President Koroma needs every dollar he can get from the international community. 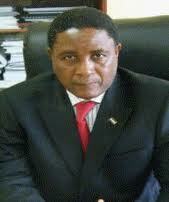 But serious concerns remain as to the president’s leadership and commitment to tackling corruption in high places. So is the MCC now ready to bankroll Koroma’s cash strapped regime? The Millennium Challenge Corporation (MCC) announced on Wednesday, 13th November 2013, that Sierra Leone’s eligibility for a compact is still under consideration, until next month when the country’s fate will be decided. The MCC’s press and public affairs office in Washington has issued a statement in response to an enquiry, following the series of premature news reports, suggesting that Sierra Leone has failed to meet the benchmark set by the MCC. To meet the criteria for its assistance program, MCC requires a country to demonstrate a commitment to just and democratic governance, investments in its people and economic freedom, as measured by several policy indicators. According to a press release issued on November 6, 2013, it appears the selection process is a convoluted affair, which includes firstly, identifying candidate countries; publication of its selection criteria and methodology for the country selection; and publication of scorecards and eligibility performance. MCC’s Fiscal Year 2014 Country Scorecard released on November 6 shows Sierra Leone has passed on 11 of the 20 indicators. A mediocre performance many would say. The 11 areas include: Inflation, Regulatory Quality, Trade Policy, Gender in the Economy, Access to Credit, Business Start-up, Girls Primary Education Completion Rate, Political Rights, Civil Liberties, Freedom of Information and Rule of Law. But the country failed on key policy areas, such as; Fiscal policy, Health Expenditures, Primary Education Expenditures, Natural Resources, Immunization Rates, Child health, Land Rights and Access, Government Effectiveness and Control of Corruption. Sierra Leone’s Minister of Information and Communications – Mr. Alpha Kanu, did not respond to a request for comments or a statement about the current position. Meanwhile, it is not clear whether the recent passage of the Freedom of Information Act by the country’s parliament and signing into law by President Koroma, was largely driven by pressure from the MCC for the government to demonstrate greater transparency.